Russian President Vladimir Putin on Wednesday submitted his application for registration as an independent candidate in the 2018 Russian presidential election.The Central Elections Commission (CEC) accepted the documents, which included an application for registration of an initiative group of supporters, a statement of consent to running for President, confirmations of biographical data as well as income and property ownership data, RT television network reported.The CEC now has five days to check them and make a final decision on Putin's registration as a candidate.The previous day, over 600 Russian politicians, activists and celebrities founded an initiative group backing Putin's independent candidacy for a new term.The group was formed with the help of the parliamentary majority party United Russia, the centrist public movement All-Russian Popular Front and the Russian Public Chamber.The group also included top representatives from several political parties such as the centre-left parliamentary opposition party Fair Russia, the Green Party and the nationalist party Motherland, that decided to back Putin's candidacy. 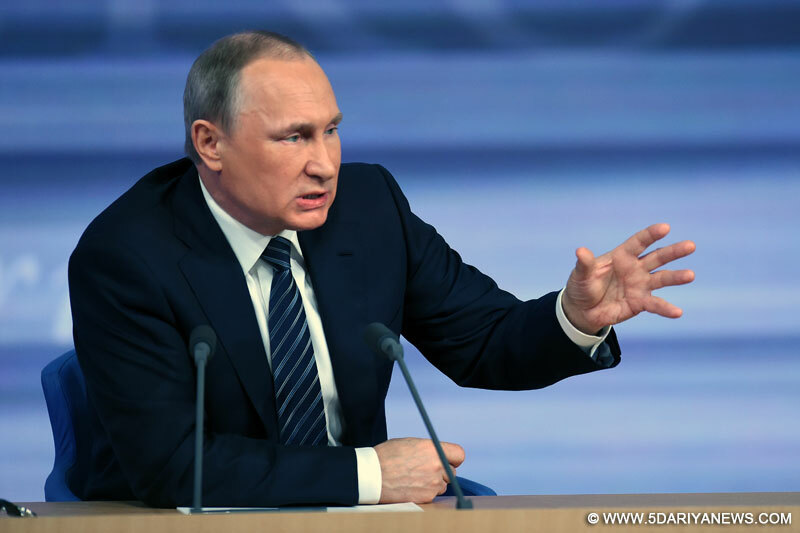 Putin announced his intention to seek another presidential term in 2018 on December 6 and on December 14 he said that he would run as an independent with the support of various political parties and ordinary citizens. This means that the incumbent, if accepted as a candidate, will have to collect and present to the CEC signatures of 300,000 of his supporters. This has to be done no later than 45 days before elections set for March 18, 2018.A public opinion poll conducted in early December, shortly after Putin announced his intention to run, revealed that 67 per cent of Russians intended to vote for the incumbent. The closest contenders were Vladimir Zhirinovsky, head of the Liberal Democratic Party of Russia (LDPR) with eight per cent and Gennady Zyuganov, the head of the Communist Party of the Russian Federation (KPRF), with 4 per cent.